IDRAAC organized a full day congress ”ADHD across the Lifespan” with more than 250 attendees from various backgrounds: mental health professionals, physicians, parents, educators, school and university administrators and HR managers in collaboration with the Department of Psychiatry and Clinical Psychology at the St Georges Hospital University Medical Center and the Faculty of Medicine at the Balamand University on Thursday April 6, 2017 at the Crowne Plaza Hotel, Hamra, Beirut. The opening session started with an introductory speech from Dr. Elie Karam, president of IDRAAC and Dr. John Fayyad, vice-president of IDRAAC and chairman of the congress who welcomed Dr. Lily Hechtman, one of the most important researchers on long term outcomes of Attention Deficit Hyperactivity Disorder ADHD in the world. Dr. Hechtman is a Professor in Psychiatry and Pediatrics and is the Director of Research on ADHD at McGill University in Montreal, Canada. Dr. Hechtman’s research has focused on long-term prospective studies of children with ADHD followed into adolescence and adulthood specifically on ADHD outcomes and influencing factors. ADHD is a common problem that affects 5% of all our children in the world. It affects students’ concentration and ability to remain focused, making them more restless and impulsive, interfering with their capacity to study and to reach their potential. In addition, in older adults, ADHD can exacerbate memory problems. During her presentation, Dr. Hechtman presented the latest research findings on what happens to children with ADHD when they grow up, emphasizing the fact that around a third of them stop having difficulties in the future, but two thirds continue to experience symptoms of inattention and impulsivity as adults, interfering with their ability to study in universities and to fulfil their obligations in job settings. 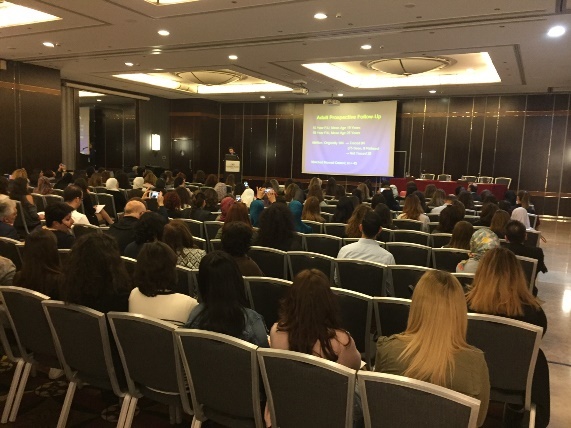 The congress also included presentations from renowned Lebanese psychologists, psychiatrists and researchers who presented their latest findings related to: ADHD prevalence, treatment, accommodations, outcomes, determinants, and relation with the use of social media, impact on driving, work and education.